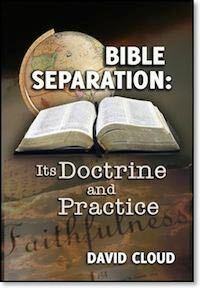 This is an extensive, practical study on Bible separation, both ecclesiastical (separation from doctrinal error, apostasy, and spiritual compromise) and moral (separation from the world). Separation is not the gospel and it is not the Great Commission: it is a wall of spiritual protection; but without it we eventually give up the gospel and turn aside from the Great Commission. Separation is based on and is a reflection of God’s holy character. Forty years ago, separation was one of the fundamental things that distinguished Independent Baptists from denominational Baptists, but today the average Independent Baptist church is giving up on separation. Book: Softcover, 145 pages, 5.5x8.5 in.